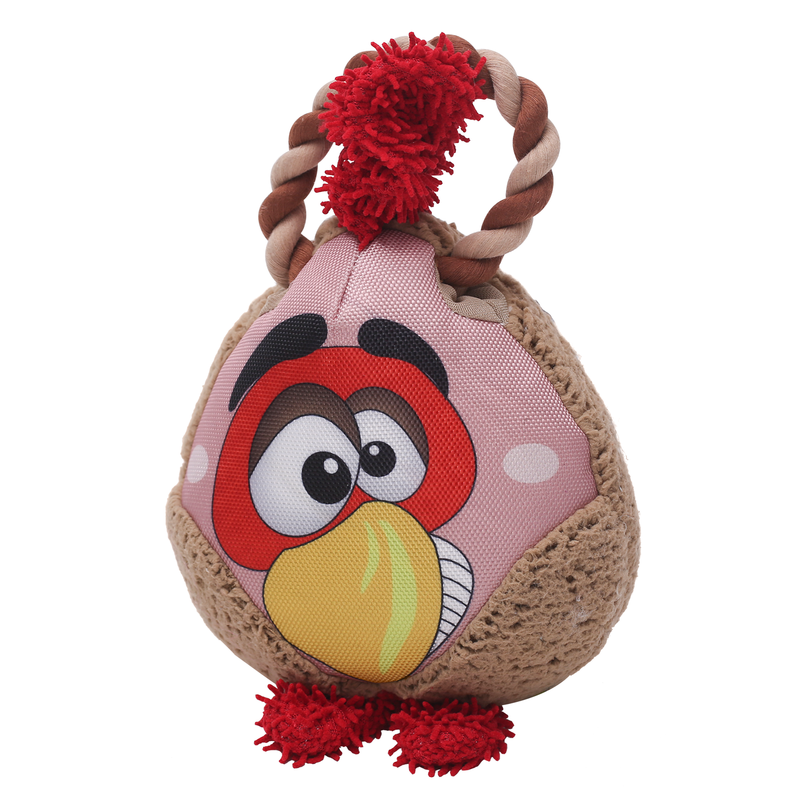 For a fun playtime with your pup, you'll love our Loonies Durable Rooster Tug Dog Toy by Happy Tails! If your pup is looking for a fun and feisty play experience, our new Loonies Dog Tug Toys by Happy Tails provide a tugging playtime that lasts! Our durable rooster tug dog toy features a fun printed design on strong, Hi-Tec fabric that is strong but soft and won't hurt your pet's teeth and gums as they tug and fetch. The durable fabric helps prevent tearing and ripping. They've also added a cotton rope handle for tugging fun with plush and chenille accents to the plush tug dog toy. Reinforced stitching helps to strengthen the seams. The rooster tug toy features a fun shape that's easy to toss, carry, tug and mouth! I love your site! Great products and customer service. I had to return an item and had no problems getting credit. I will return to the site for my daughter's dog and my cat.